superfuture began mapping out the essential shopping districts of cities such as tokyo and new york in precision detail way back in 1999. at that time, google maps didn’t exist, and gps co-ordinates were something only the military and colombian drug cartels seemed to have a use for. superfuture used satellite maps, topographical surveys, our feet, and a sony cybershot to make sure absolutely every narrow alleyway, footbridge, and underground shopping arcade was included. while everyone else made their maps for generic tourists, superfuture made maps for precision shopping reconaissance missions. 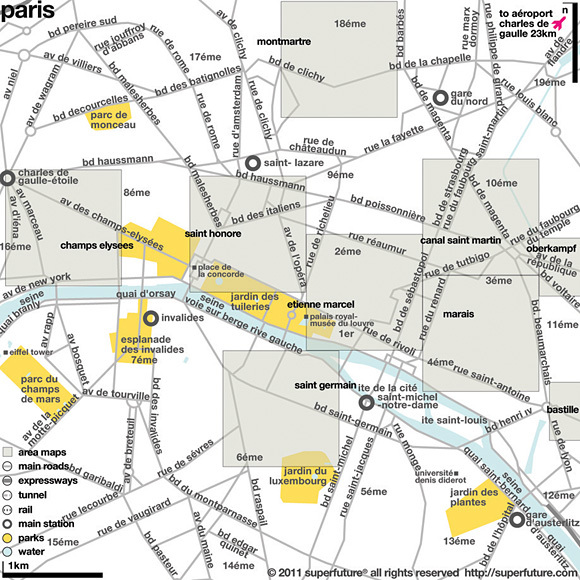 as map technology and gps improved we introduced additional gps based maps for our website and later for our iphone apps. 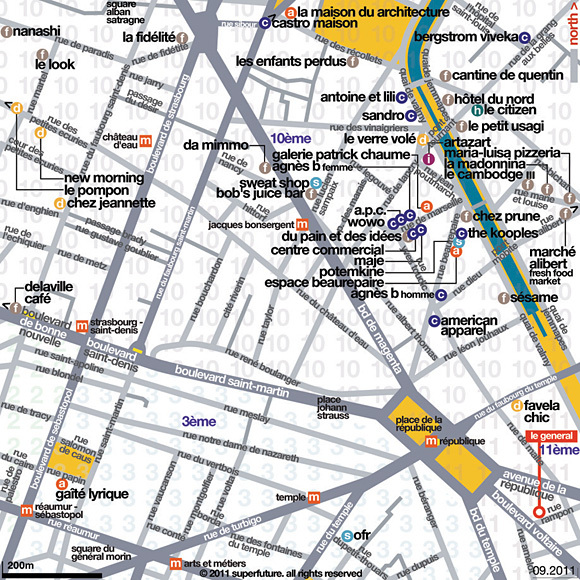 visually and technically, our maps became more sophisticated, and have since been produced in a variety of digital and print formats for the superfuture website and clients. 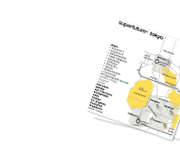 in 2011 we finally retired our custom website maps but continue to produce these ‘hand drawn' and 'hand updated’ maps on a regular basis for our pdf superguides - and plan to do so for some time to come. the new superfuture website now utilizes fully geocoded maps with advanced filtering, map clusterization, and integrated street view. 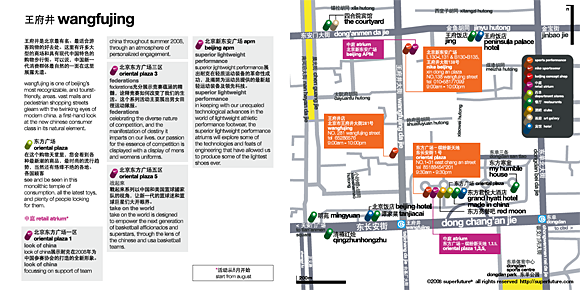 superfuture have produced custom maps for design events, shops, hotels, magazines, as well as airlines and governments. clients have included everyone from nike sportswear to the ministry of foreign affairs in sweden. we recently worked directly with google and the ace hotel on a new york city map project. outlined ahead are some selected map projects. 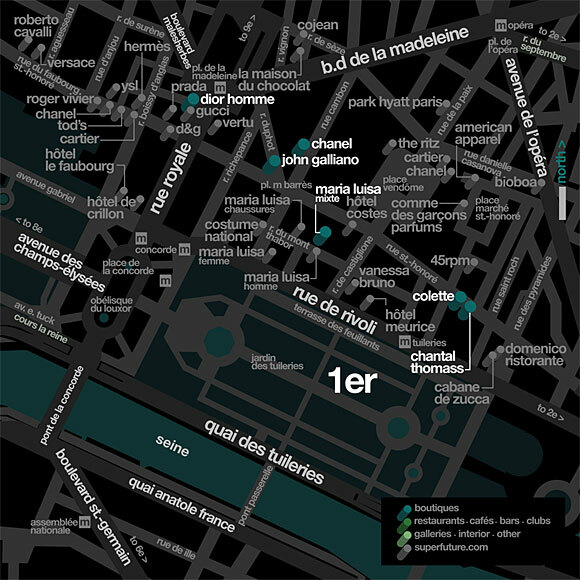 limited edition packaged 16 page booklet and cd-rom city guide and maps of paris for high-end japanese fashion boutique restir. 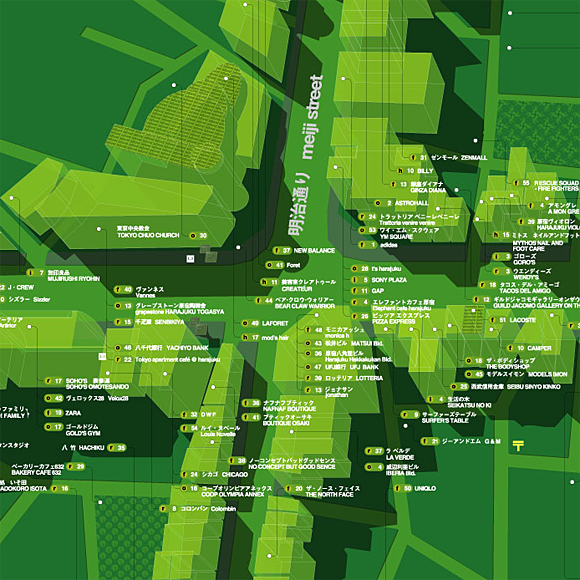 30 metre long x 4 metre high architectural aerial perspective of omotesando in tokyo. printed on the [klein dytham architects designed] ‘gungun’construction fence of the [tadao ando designed] omotesando hills shopping development. 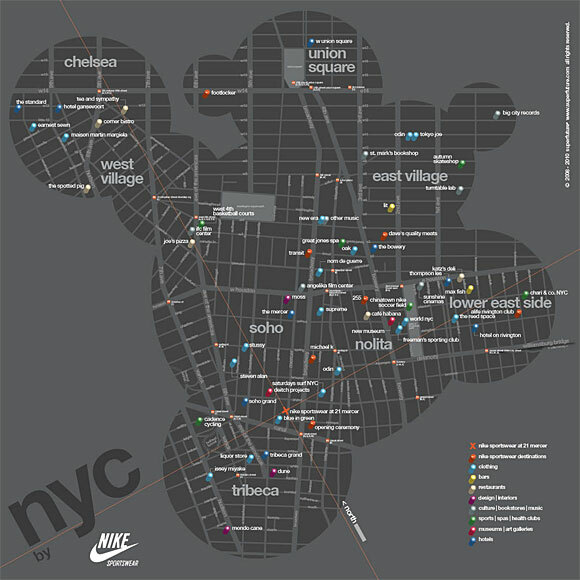 print map and city guide of lower manhattan in new york city for 21mercer store in soho. 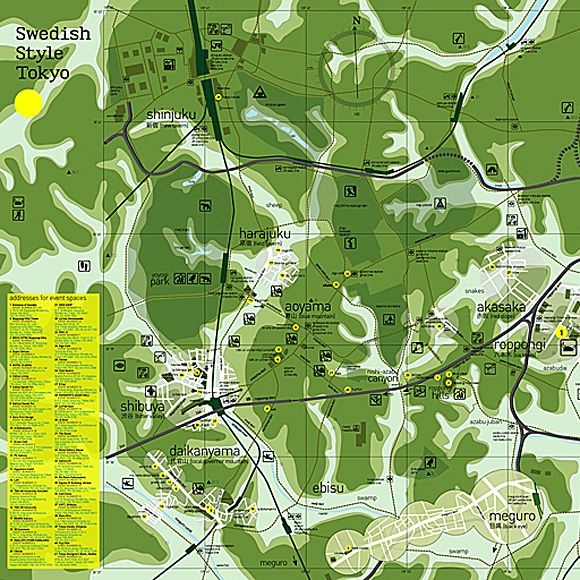 the map was reprinted in 2009. 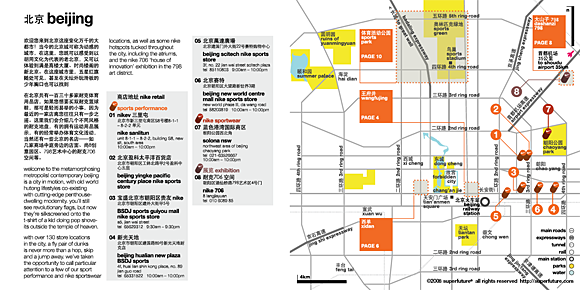 16 page custom beijing city guide and maps for nike china in-store promotion during 2008 beijing olympic games. the project included translations and print production and management in china. 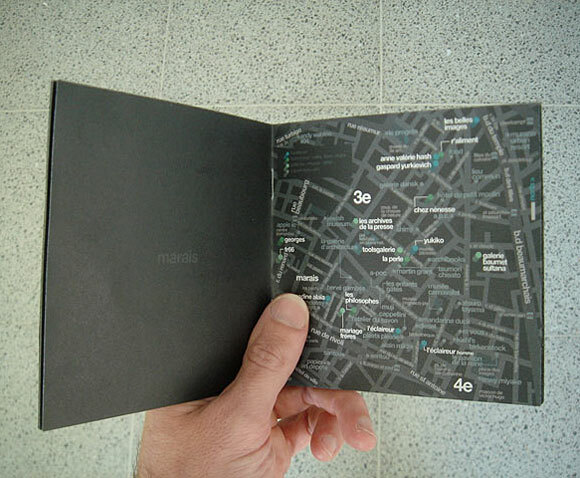 printed shopping maps of sydney and melbourne for nike look book promotion. 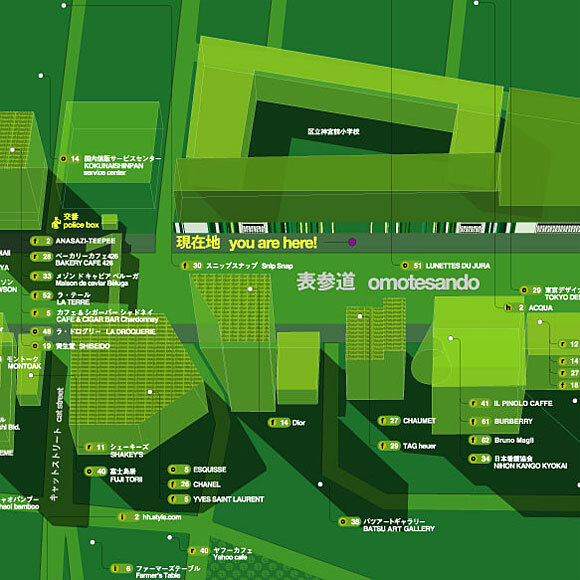 superfuture produced a ‘orienteering’ style topographic map of tokyo for the 'swedish style' design event in tokyo in 2003. superfuture also made print maps of tokyo and osaka for 'tokyo designers week' 2003, and print and internet maps for 'tokyo designers block' in 2001 and 2002.